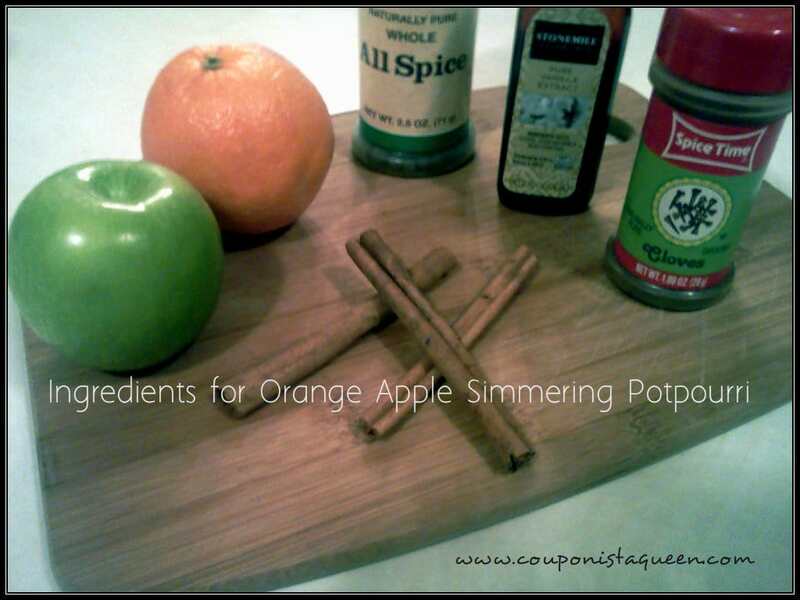 Homemade Orange Apple Simmering Potpourri – Easy to make and makes your house smell wonderful. please Share it or Pin it or Repin it on Pinterest. Homemade potpourri can be made from all kinds of things. 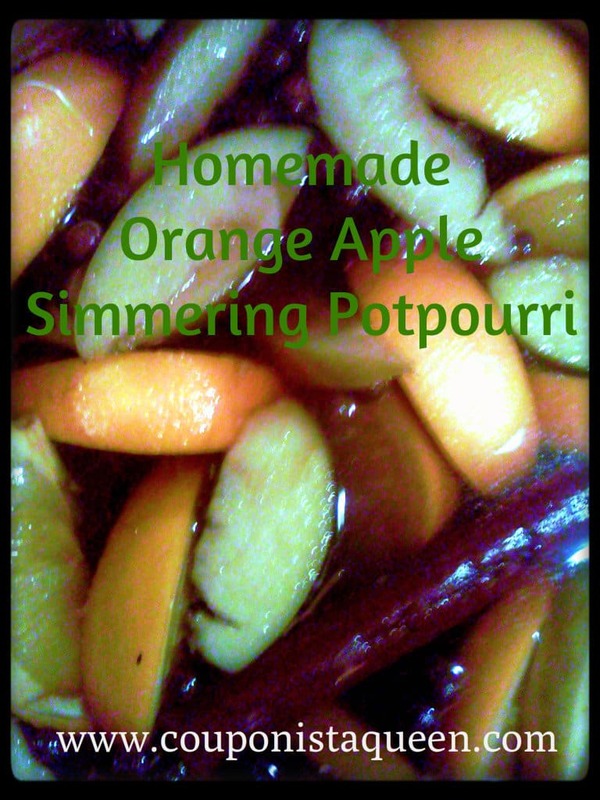 I decided to make one today that is a great stovetop simmering potpourri recipe. 1 Orange sliced and 1 Apple sliced. Leave the peel on both but seed the apple. Here is a tip: I got a cheap potpourri simmering pot with a lid (it used to be just a sauce pan, lol) at the Goodwill thrift store for less than $1 so I don’t have to use my good ones, just in case I ever burn the pan. You can also use a small simmering Rival potpourri crock pot. You can simmer this do-it-yourself potpourri for hours and hours, adding more water as needed. Be careful to not let the pan go dry. I set the kitchen timer for 2-hours at a time to remind myself to check it. You can reuse this the next day. Just put the lid on it and store it in the fridge overnight, or stick it in the garage if it is cold out there. Check out these other Homemade Simmering Potpourri Recipes for even more ideas on how to get your home smelling great!